Bamboo is an invasive plant and will often require removal. We are experts in the the cultivation and removal of bamboo plants. 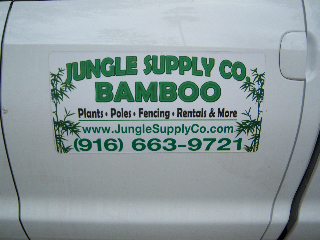 In some cases, Jungle Supply will remove your unwanted bamboo plants for FREE! This service is offered if the plants are healthy enough to be added to our bamboo nursery, or can be harvested for bamboo poles. We will come your location and make a determination on site and provie an estimate. Call us at 916-663-9721 for details. 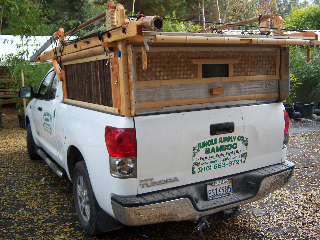 Bamboo plant and product delivery is FREE to sacramento on orders over $250! We also offer delivery throughout the entire state of California and parts of Nevada and Oregon. There is a two plant minimum for all deliveries. Please view our rate schedule below.